Thanks to @christianc1 for the detailed report of this in #1528. AMP_Gallery_Block_Sanitizer iterates through the <ul> tags that have child nodes. As @christianc1 mentioned, if this is in Classic mode, the sanitizer will have the argument of array( 'carousel_required' => true ). This causes $is_amp_carousel to be true, even for something like <ul><li></li></ul>. Assuming that the AMP_Gallery_Block_Sanitizer is only intended for the Gallery block, restricting it to that block would probably make sense. It looks like the Gallery block should always have the class of wp-block-gallery. 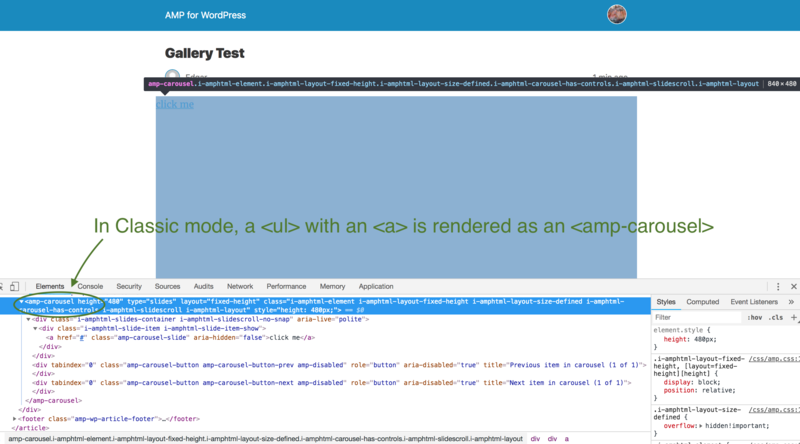 Its stylesheet only uses that class, and the image selector begins with ul.wp-block-gallery. If it's alright, I'll look at the failed unit test tomorrow. It passes locally. 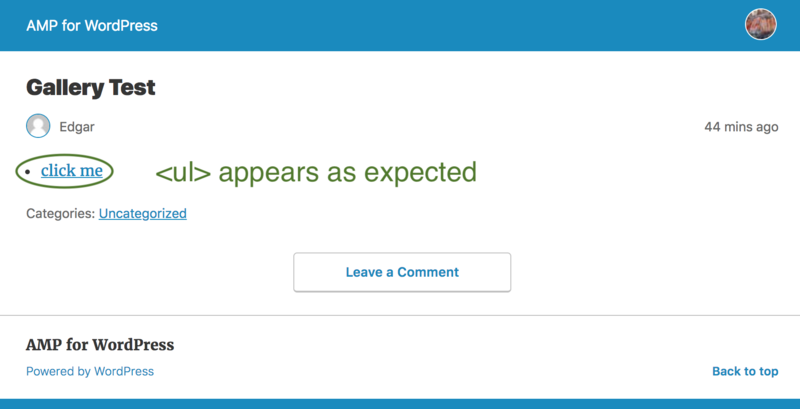 It looks like the failed test may be due to something new introduced in WordPress 5.0. How does this PR relate to #1527? This PR takes a different approach from #1527, though we might still consider #1527. I think there's something needed to ensure the AMP_Gallery_Block_Sanitizer only operates on Gallery blocks. Like how this PR checks that the <ul> has the class of wp-block-gallery.